One of the most influential sources of on-going sagebrush loss and change in Wyoming is oil and natural gas development, which is associated with lower nesting success of all three sagebrush songbird species. Yet, mechanisms underlying why nest predation rates increased in areas with energy development were unknown and critical to understand for potential mitigation measures. We identified nest predator species of songbird nests via 24-hour infrared video cameras in the Jonah and Pinedale Anticline natural gas fields, and found that 75% of depredation events were by rodents (mice, chipmunks and ground squirrels). Moreover, rodent predators increased in abundance across the same energy development gradient, especially where there was more reseeded (reclaimed) land. Project partners included the Wyoming Landscape Conservation Initiative (multi-agency) and the Wyoming Game and Fish Department. 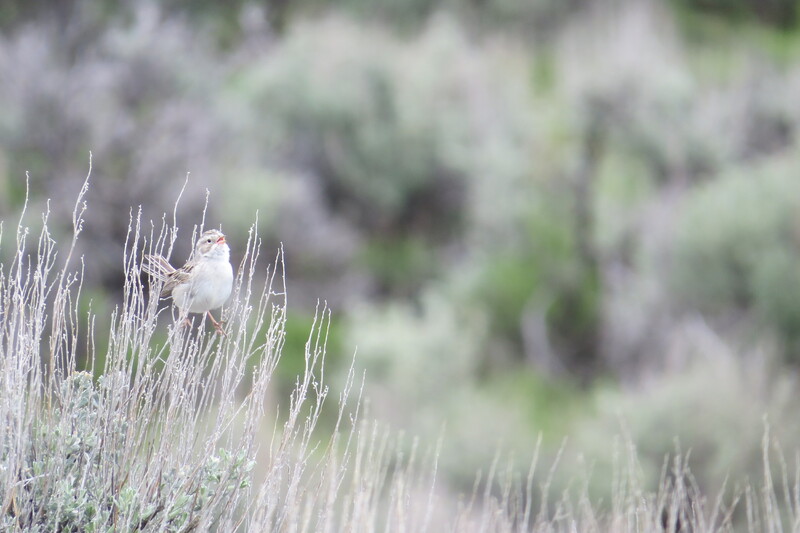 Results have been provided to state and federal agencies involved in sagebrush habitat management in Wyoming such that future developments can proceed in a manner to limit further population declines of sensitive non-game bird species.